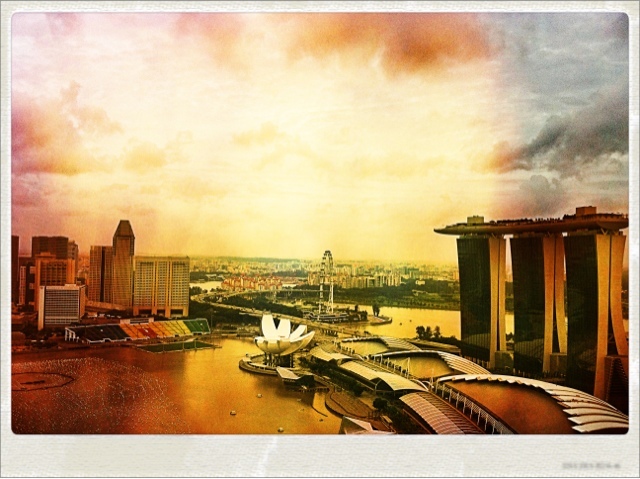 Trilcey: Bye bye London town...Hello tropical Singapore! Bye bye London town...Hello tropical Singapore! So...it is now September 2011, and we have left our home comforts of London. We are moving onto the unknown...Singapore. Well, 'unknown' to me...the other half G stopped off here during his backpacking year out. The only memory he could recall was the intense humidity - and it is indeed intense. Here's hoping we climatise asap! Regardless, i'm enjoying the tropical heat and so far, I don't miss the cold at all! This picture was taken from Level 33, great views and great simple food.